Traditionally, there is good news, and there is bad news. This is no exception. So.. 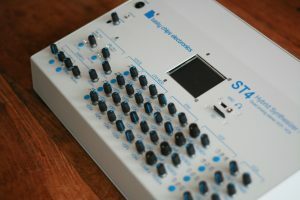 The first ST4 with silkscreens. Bad news, people: the silkscreen quality isn’t high enough. And this means the delivery will be postponed to next year. To explain. The silkscreen is spotty and varies in thickness over the plate. We’ll need another iteration to perfect things. Sorry, we just can’t choose to rush this. Especially not on a synth of this class. Which is to say, we will clear this up. No matter the cost! Now that that’s out of the way. Other news! Superbooth 2017: April 20..22, Berlin. 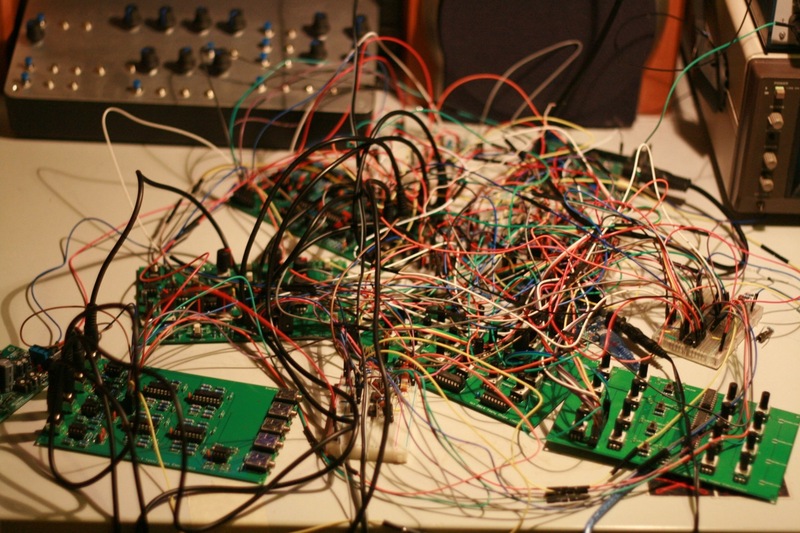 The most interesting synth fair in Europe. We’re there to demonstrate all our stuff, including formerly classified projects! Last update reported on the ST4 power problems. The European government basically killed off the AC/AC power bricks on which the ST4 depended. So we were forced to take a step back to redesign. 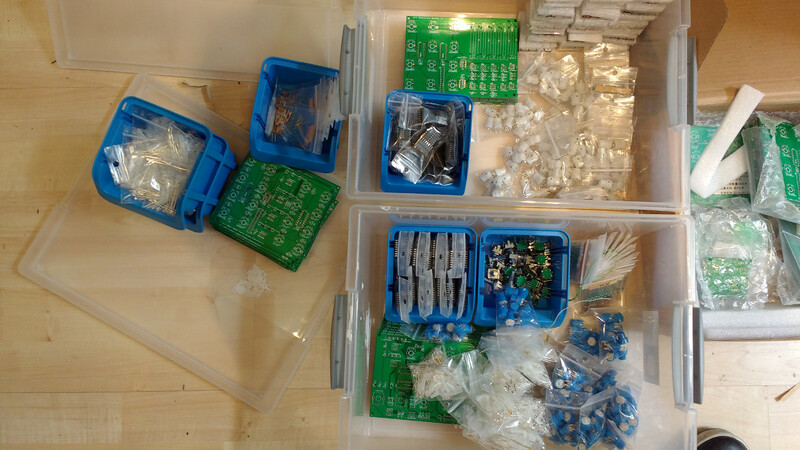 You’ll be pleased to hear this was successful and with that the electronics are complete! Finally! 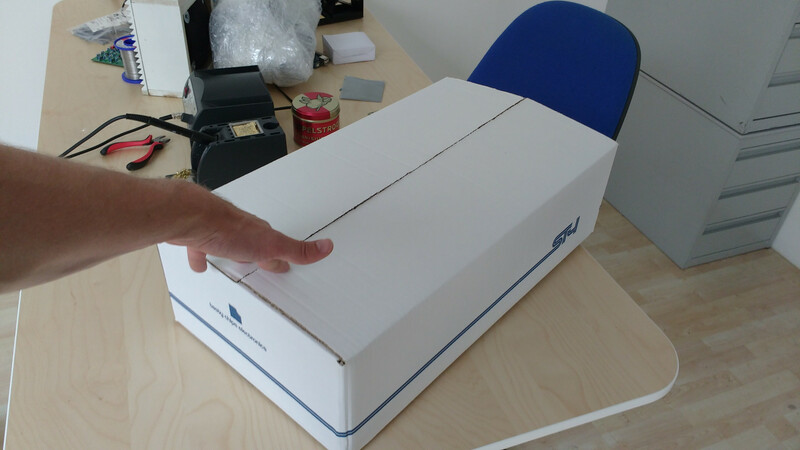 Not only this, but we’ve already moved ahead and started assembling the first ST4 systems. In the coming days (weeks) the DIY manual will be put online. A start can already be found here! The casing development has made good progress. 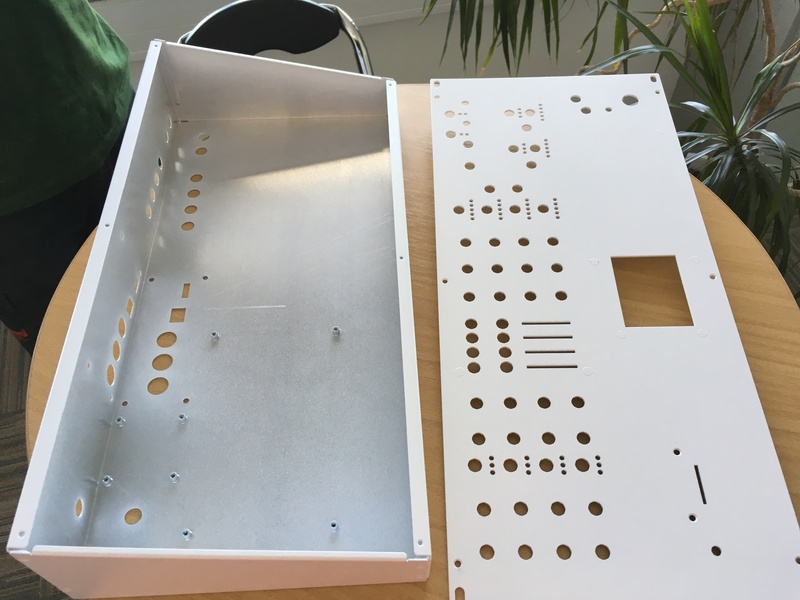 The technical drawings of the front, back, and bottom plates are almost completely finished and we already made a test run on our C&C with this to good effect. What’s more the graphic design has made similar progress. But we’re not going to spoil it this post. 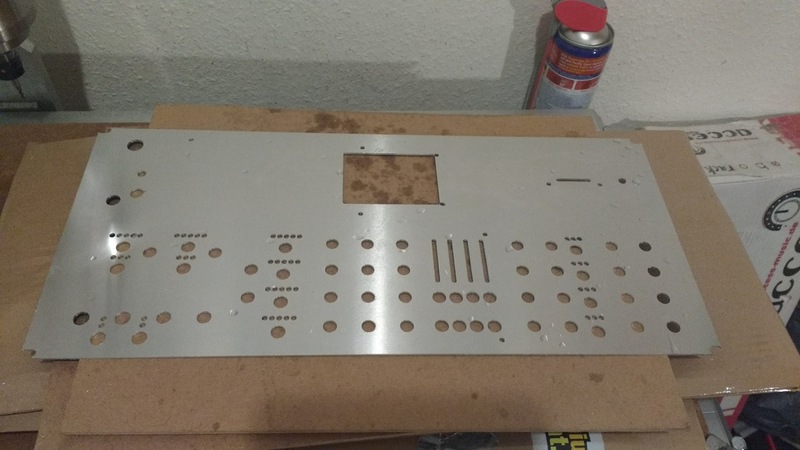 Fresh from the CNC: the new test front plate. The good news is that most of these activities can be done in parallel. Mid july sounds like a realistic release date. But the ST4 more than 4 times as complex as the Sawbench. The feature list is enormous and it’s impossible to even list all features in a minute-long video. So we just have to make the best possible music with the thing..
* Renoise on Mac exports signed 8 bit WAV, should be unsigned. * We need way better lighting in the studio to make decent film. 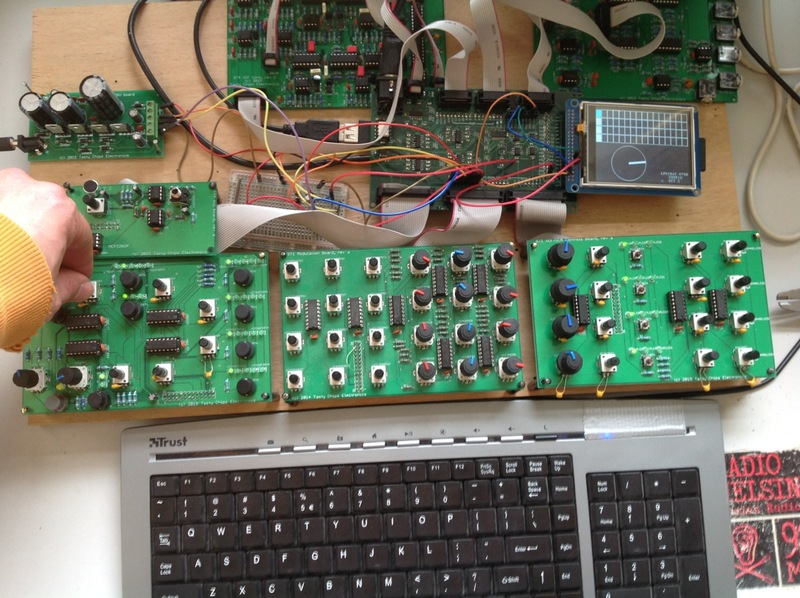 * The ST4 prototype firmware refused to reload the samples from its song. 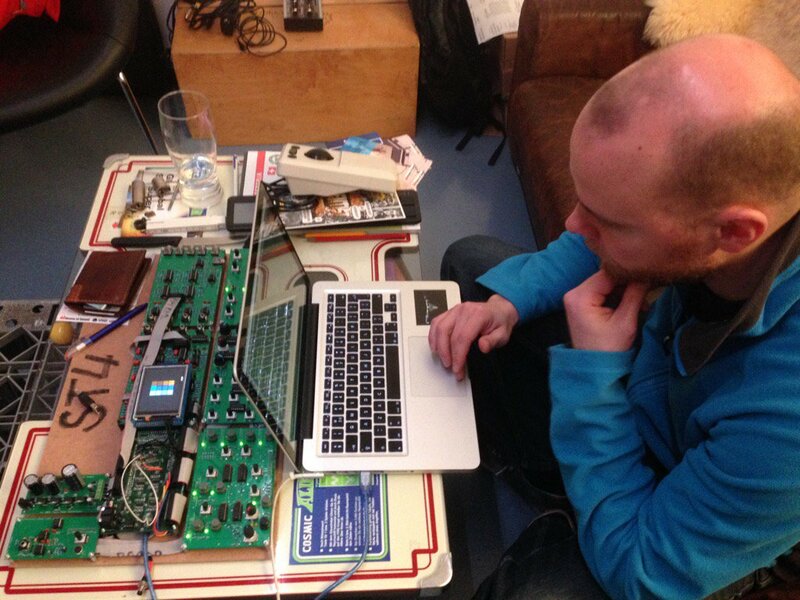 * Hooking up a full-blown MIDI setup takes time. 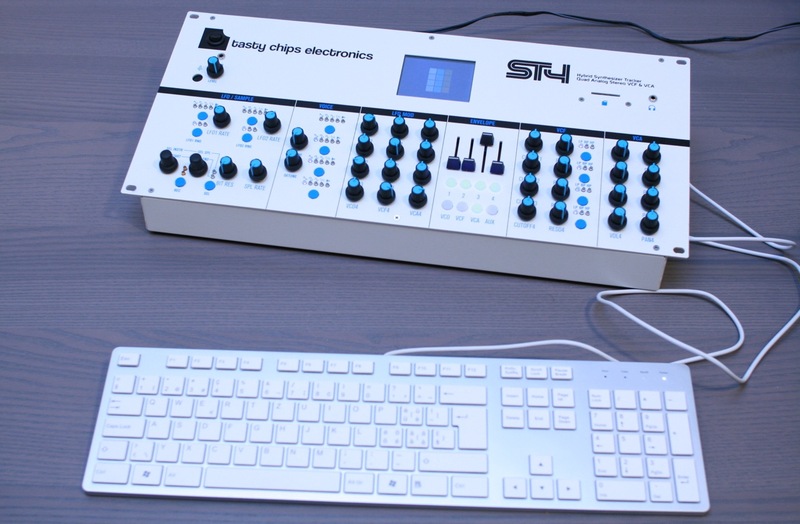 Studio demonstration of the ST4. Edit: we did, thanks to 20k of filmstudio equipment and professional help! 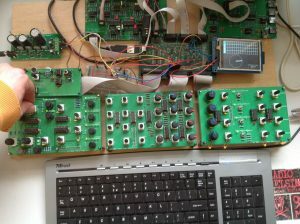 Developing for the old woodboard, a new screen to display the full LFO MOD matrix. The coming days we’ll also output some extra video’s: jam sessions and feature-by-feature explanations. 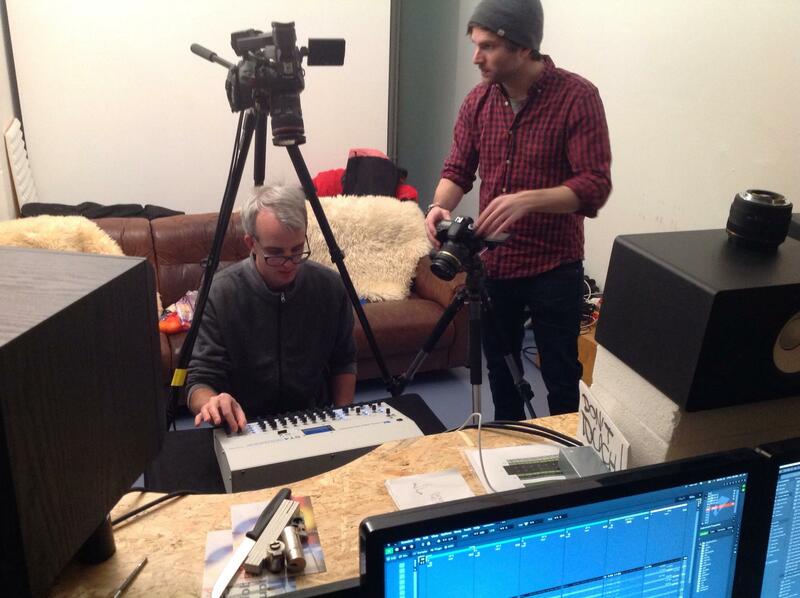 There might also be a documentary about STU’s synth/chip history. The last of the piggies. With the year coming to its conclusion, it seems an amusing coincidence that the last Piggy now finally got sold. 🙂 The Piggy was our first synth, a simple and affordable shield that turns your Arduino into an MIDI-driven analog bass synth. 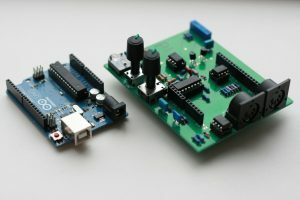 The Arduino Piggyback Synthesizer and its host system, the Arduino Uno. We might do another batch.. 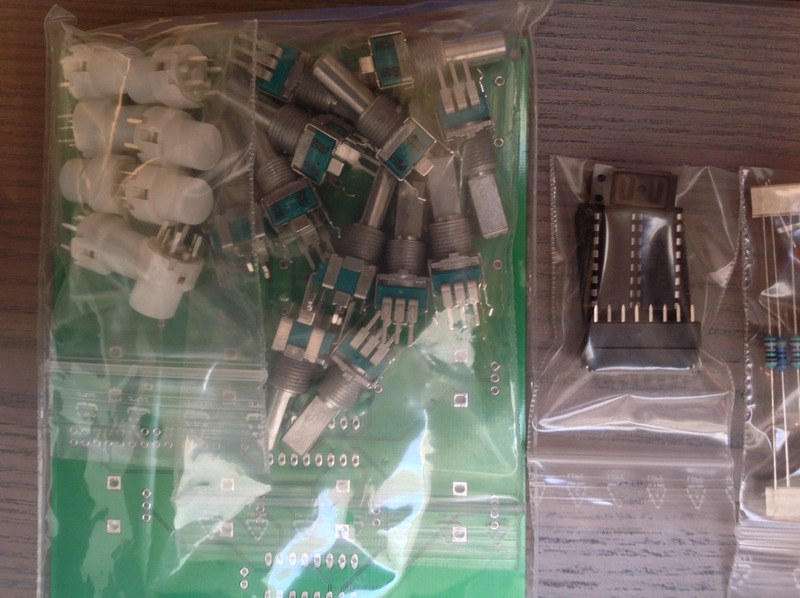 The filter would need to be revised (dual gang potentiometers are getting rare! ), maybe even changed into the Sawbench VCF.. But we need to know if there is enough demand. 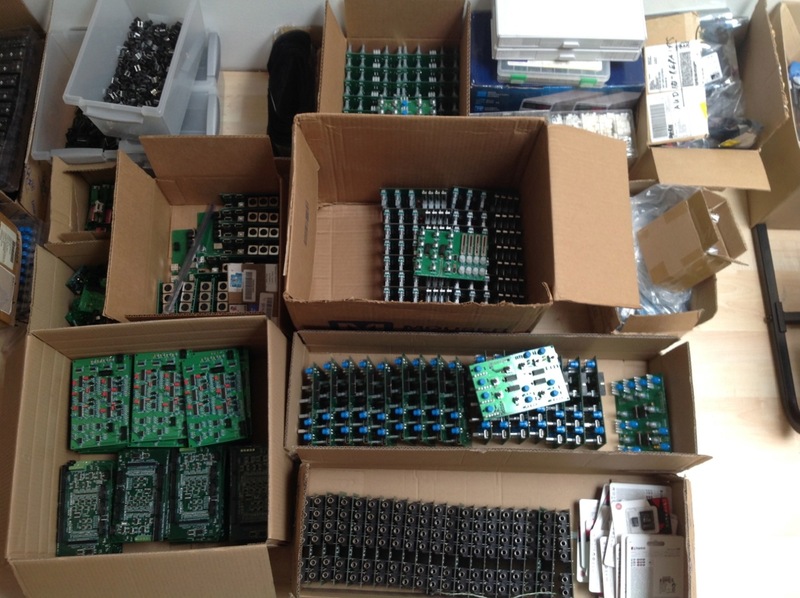 The usual address applies tastychipselectronics@gmail.com. Either this or post on Tasty Chips on Facebook or Tasty Chips Forum. – The ST4. This beast of a synth/tracker has got its own page here: ST4 info page. 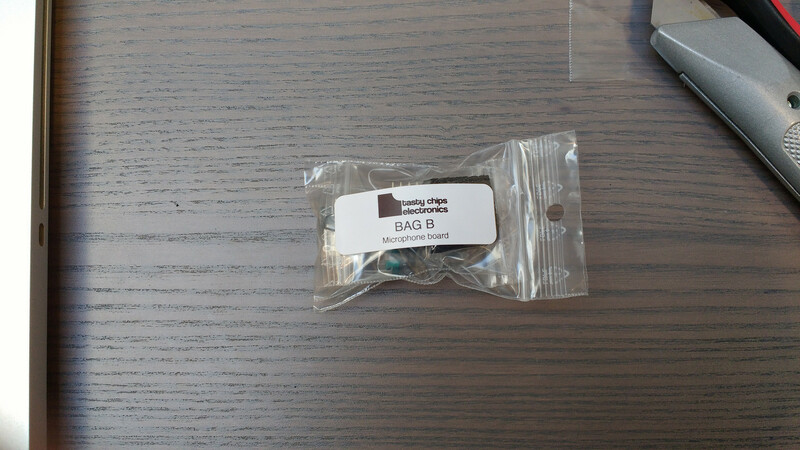 As said, the Kickstarter will take place in january! – The Sawbench mod board: modify the Sawbench to accept external CV for VCF and use and external input signal (If there is enough interest). 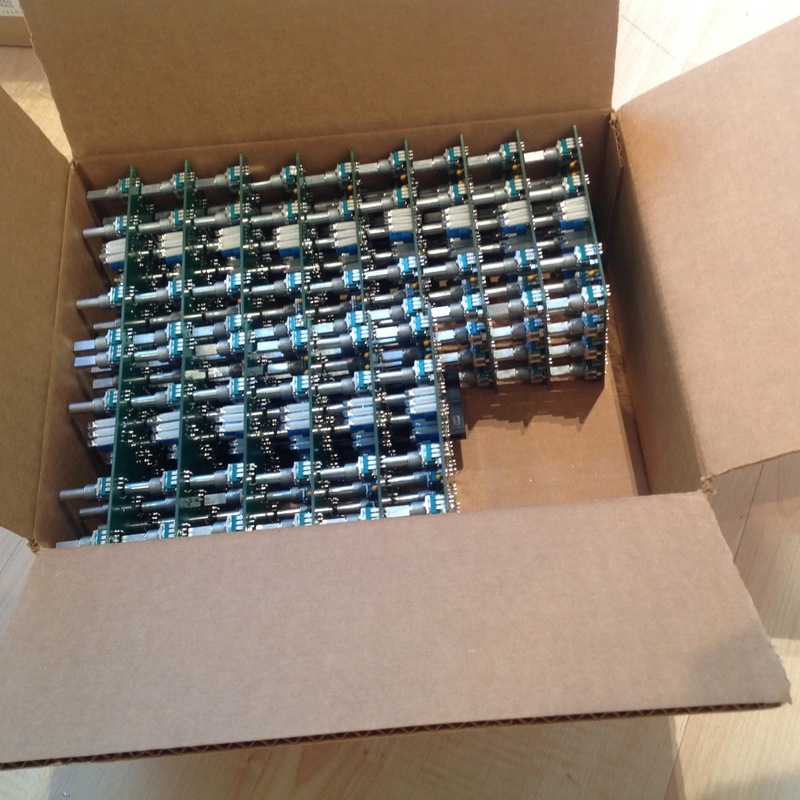 – Sawbench firmware update 1.2: including synced LFO, tighter envelopes and possibly exponential envelopes too (If there is enough interest). 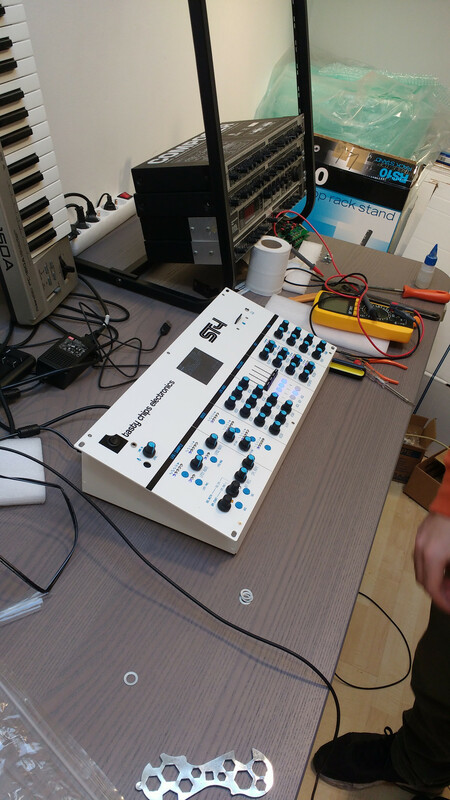 – A big analog Eurorack sequencer with 2×16 steps and loaded with features. – Sawbench VCF/VCA Eurorack module. – The next polyphonic beast. This will be less channel-driven than the ST4, but will have more channels (yes, that does make sense 😉 ). 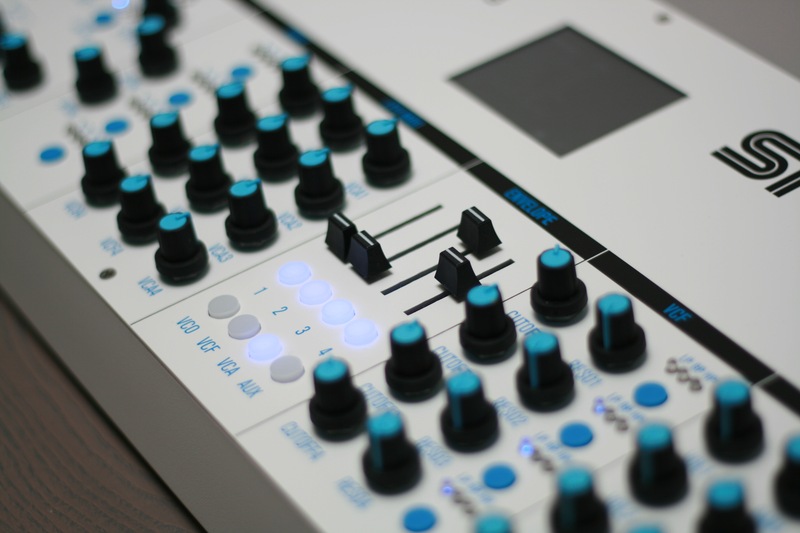 The focus will be on polyphonic harmonic sculpting..
– The MIDI sequencer (“tracker”) taken from the ST4 released stand-alone, with more controls geared towards pure sequencing.